The role of the CFO is integral to the running of a rapidly growing and increasingly complex business. The CFO should be a strategic thinker who understands and interacts with all aspects of the business. The CFO is a principal deputy to the CEO providing financial direction, information and advice. The CFO is also a source of essential information for the Board of Directors. The CFO’s role is to direct and oversee all of the financial activities, overall financial management and systems, to include the preparation of current financial reports and forecasts for future business growth and oversee accounting, costing, procurement, tax planning as well as develop strategies to maximize return on investment. 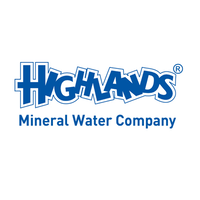 Highlands is a fast growing and highly entrepreneurial company. We expect this mindset from our CFO. This implies that our CFO needs to be “self-starting”; conducting your own analysis, making your own cash-flow statements and coming-up with self-initiated financial improvement plans. A finance team will support you on execution but the CFO needs to do more than just managing his team. We will look for this mindset above anything else. Put the necessary financial plans in place, including budgets and implementing appropriate budgetary controls. Develop financial models and systems for the specific company business to enable efficient monitoring of costs, business processes and profitability. Support other cost centers in budgets development. Manage cash balances by initiating/executing appropriate actions including the investment of cash and inter-account transfers. Drive treasury management activities including foreign currency hedging, cash flow management, the investment of excess cash and management of company borrowings to enable the company to meet its financial obligations at all times. Present the financial performance reports to the CEO and Board of Directors. Support the company's strategic planning and business review process as key member of the leadership team. Maintaining relationships with the company's banks, suppliers and other service providers so as to ensure that the company receives timely, quality and cost efficient services at all times. Act as primary liaison with the company secretary. Continually review and upgrade accounting systems and procedures in line with the company's operating systems, internal control requirements. Ensure compliance with taxation laws, including accurate computation, declaration and timely payment. Setting and evaluating performance standards for departmental staff. The organization is based in the Mt. Kenya region and working conditions are normal for an office environment. Work requires willingness to work a flexible schedule and possible Saturday commitments. Must be a registered professional of good standing with a relevant body. At least ton (10) years’ post- qualification progressive experience in a Manufacturing/ FMCG environment. Must have previously supervised a Finance function with more than 5 employees. Just like the Aberdare, we pride ourselves in a variety of world class products. The Delightfully Refreshing Highlands Drinking Water and the ever-flavorful Highlands Cordials have refreshed Kenyans for decades. Club Soda promises to refresh the soft drinks market with sensational taste at a low price everyone can afford. Our new kid on the block, Club Energy packs you with energy and keeps you in control. We believe that we can be only as strong as the society we operate. In this spirit, we’ve supported and continue to support environmentally conscious initiatives such as the Rhino Charge, Lewa marathon and the 10 to 4 Mountain Bike Challenge.